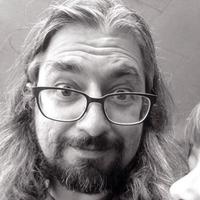 Chris Bartlo, math teacher at Wilson High School in Portland, Oregon summarizes, "There is a general sense that programming is related to math and that people who are successful in math are often successful at programming. For math teachers, a natural question arises: “What is the value of computer programming in my classroom?” The reality is that one doesn’t come before the other. Programming directly supports some of the core tenets of how we learn mathematics." By expanding our idea of what benefits we are bringing students when they program, we can break down some of the stereotypes that limit enrollment in these kinds of programs—stereotypes that hurt the diversity of students who pursue STEM in general. In particular, we believe that programming can develop problem solving skills, encourage students to be more attentive to their work, and persevere in tackling difficult problems—goals for students in every mathematics classroom! When we bring programming to math class, we add a new layer of problem solving: translating mathematical problems/ideas to execute them in code. This often requires students to deepen their mathematical understanding of the problem as they find a way to represent the problem in a programming language. Programming forces students to be explicit about their problem solving strategies. Writing code encourages students to break the problem into discrete chunks; which is one of the most powerful problem solving techniques in mathematics. A danger with the pencil and paper calculations we rely on in a traditional math assignment is that a student can combine many elements of their problem solving process into one step. As educators, seeing how students approach a problem is invaluable information in supporting their learning. Since the computer can only do exactly what it is told, students need to show precision with their process of translating their plan into code. This forces students to focus on details that they might normally bypass because of difficulty or lack of interest. The syntax of a language is a required step in demonstrating a solution. There is no writing down an answer without showing your work. The work is your answer when you program. The most tangible benefit for educators that programming can provide is that it constantly provides feedback about student precision. The output of the program is a great place to start, but when there are syntax errors the compiler actually prints out messages to the students (line 5 is missing a semicolon, etc.) and they immediately see the impact their lack of precision had on solving the problem. The fact that students know immediately if they are correct or incorrect is the best formative assessment an educator could hope to provide. In a traditional school model, this feedback would have to wait until the teacher provided it. Coding allows all students insight into their own comprehension and can provide them the tools to control their growth. This really helps students see the need for precision, which is something that can seem like an arbitrary thing a teacher is asking for in a math class, but has tremendous significance in both fields. Taking advantage of this immediate feedback can allow students to naturally grow their problem solving abilities. When failure is part of the path towards success, students build perseverance in solving problems. A program produces valid output or has an error. An error is either syntactical (causing the program to not run at all) or logical (resulting in undesired or unexpected output). Debugging, the process of identifying and correcting errors in code, is what students spent most of their time doing when they program. They quickly find that bugs are very common and no one writes error-free code on their first attempt. Because of this, the fear of failure is much lower than in traditional math activities. Learning how to test if their program is working correctly requires a lot of reflection about how their program works. The need to develop test cases directly encourages students to explore different paths to solve the problem. This cycle of plan, implement, test and repeat is very powerful for keeping students engaged along with the built-in opportunities for “small successes” in every program. This strengthens student perseverance as it becomes clear to them that their effort is rewarded with visible success. 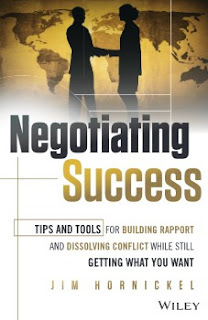 Check out "How to execute win-win negotiations every time, in business and in life." 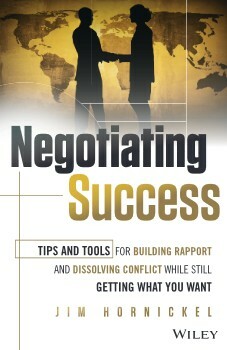 Jim Hornickel writes in the introduction, "All conversations are negotiations. Whether small personal exchanges or large, complex business contracts, we are negotiating all the time." Negotiation skills have been around since Neanderthals determined who would go out and fight the saber-toothed tiger. What has been added in these recent, more enlightened times is attention to negotiation relationships. You are now embarking on the exciting next steps in negotiating mastery to become ever more aware of using“mutuality” as the way forward. You are at the launch point for taking bold new directions on how to model, teach, and inspire mutual satisfaction in negotiations. and company values are met, visions are achieved, and the organization’s needs are fulfilled in the short term and over time. Even in a world that values competition so strongly, when you go for win-win, you will be at the leading edge of this change. Negotiating involves“hard skills”—steps, phases, and strategies; but it also requires“soft skills”—building positive and productive relationships. We address both major areas in this work. "Educators who take the challenge and watch all 10 webinars between July 10, 2016 and August 10, 2016 can earn up to 15.5 hours of continuing education credit" inform eSchool News and PresenceLearning. 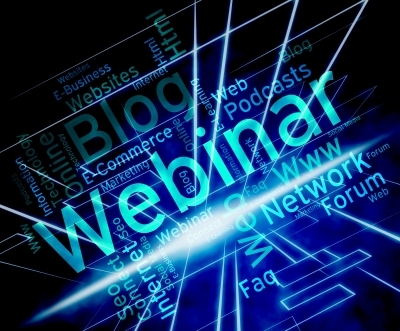 unlimited access to 10 free webinars starting July 10, 2016. Educators who watch 1 or more webinars and pass the end-of-webinar quizzes can earn up to 15.5 hours of professional development. ASHA and NASP members can earn CEUs and CPD credits. To sign up for the webinars, visit http://plearn.co/pd-summer-2016. Individuals do not need to pre-register, but can sign up to receive reminders and encouragement for when the series is open for viewing for credit. The 10 webinars in the Decathlon Challenge series — 15.5 hours of streamed content in total — were selected from PresenceLearning’s most popular webinar presentations. The Decathlon Challenge webinar series is offered free of charge. Attendees will receive a certificate of attendance for each webinar watched after passing the post-webinar quiz and submitting a feedback survey. "It was the era that ushered in new ways of thinking. Yet most women weren't expected to have a voice in the debate. Here are some who made themselves heard." notes Patricia Fara. It was a time of explosive new ideas – political revolution, contemplation of the rights of individuals, the rise of scientific enquiry and a broader appreciation for the power of reason. 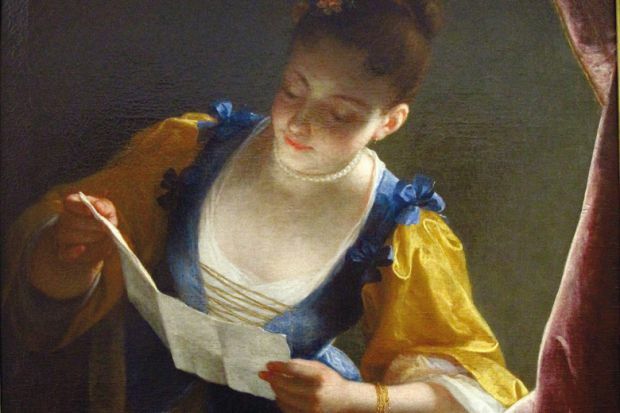 Yet while the names most remembered from the Enlightenment era – Locke, Newton, Voltaire, Kant, Paine – belong to men, there were many women who participated in and influenced the intellectual upheaval of the time, sometimes in subtle ways, by using the only tools at their disposal. Emilie du Châtelet was one such pioneering woman. She made use of her aristocratic background and connections with the upper echelons of society to involve herself in the philosophical debates of her day – and she used her sharp wit and mathematical aptitude to test the newest ideas in physics and convince her compatriots that Newton’s theory of gravity was right. 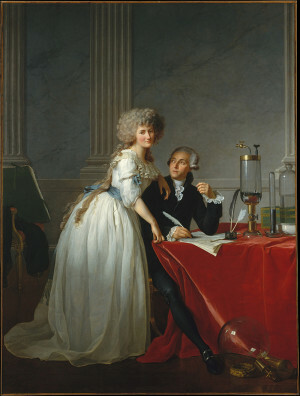 Lavoisier built his reputation on identifying oxygen, but his wife was the English-speaking expert available to negotiate with Joseph Priestley, who had already discovered the same gas but given it a different name. She was far more than just a mouthpiece: up to speed with all latest theories, she included her own critical commentaries in her published translations of books and articles. She was also an accomplished artist. While her husband is celebrated for reforming chemistry with his revolutionary textbook, it was her meticulous illustrations that enabled chemists all over the world to replicate his trials. Women can be their own worst enemies. 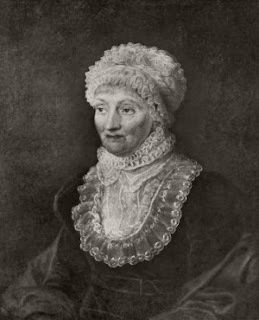 “I am nothing, I have done nothing,” lamented the astronomer Caroline Herschel. This self-abnegation has helped push her into the backwaters of history, yet she was the first woman to discover a comet, and was so well-recognised at the time that King George III rewarded her with a scientific salary. Even her own mother hampered her career, insisting that she stay at home to wash and clean. Eventually Herschel escaped from family servitude in her native Hanover to join her brother William in England, best known for discovering Uranus. He soon enlisted her to collaborate on his astronomical projects. Night after night, they recorded telescope observations together, even when it was so cold that the ink froze and the metal mirror cracked. She performed the calculations needed to convert numbers on a dial into locations on a map, and it was thanks to her that Britain’s major star catalogue was brought up to date. Independent of her brother, she identified several new comets and at last allowed herself a rare moment of pique at male oppression. Admitting to the Astronomer Royal that his interest had stimulated her “vanity”, she pointed out that “among gentlemen the commodity is generally styled ambition”. Not many female scientists have a ship named after them, but for 20 years the Mary Somerville carried goods between Liverpool, Canton and Calcutta. Its figurehead was copied from the commemorative marble bust that the Fellows of the Royal Society had commissioned for their foyer. 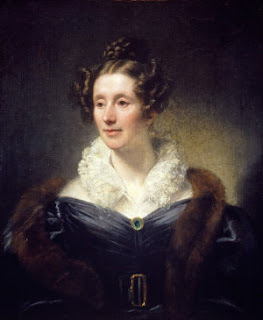 Yet although she was celebrated as “the Queen of the Sciences”, the real-life Somerville was not allowed to set foot inside the Society’s hallowed halls: when her article on magnetism and sunlight was published in the Philosophical Transactions, her husband read it out on her behalf. The first time the word “scientist” appeared in print was in a review of Somerville’s bestseller, On the Connexion of the Physical Sciences, which consolidated as well as disseminated the latest cutting-edge research. Though excluded from universities, scholarly societies and laboratories, she became Victorian England’s most famous scientific author. The modern edition of her work runs to nine volumes – a massive output that she somehow managed to write while looking after her family. She resented the social pressures preventing women from achieving their full potential. “A man can always command his time under the plea of business,” she observed, but “a woman is not allowed any such excuse”. 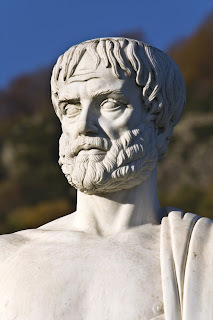 Amy Ellis Nutt, Pulitzer Prize-winning reporter — Washington, D.C. writes, "More than two millennia after his death, Aristotle’s final resting place is located (probably)." For starters, he is the father of Western science and Western philosophy. He invented formal logic and the scientific method and wrote the first books about biology, physics, astronomy and psychology. Freedom and democracy, justice and equality, the importance of a middle class and the dangers of credit -- they're just a sampling of Aristotle's political and economic principles. And, yes, Christianity, Islam and our Founding Fathers also owe him a lot. Nearly 2-1/2 millennia after Aristotle's birth, we now know where his ashes most likely were laid to rest: in the city of his birth, Stagira, on a small, picturesque peninsula in northern Greece. "We have no [concrete] evidence, but very strong indications reaching almost to certainty," archaeologist Kostas Sismanidis said through a translator at this week's World Congress celebrating "Aristotle 2400 Years." Although Aristotle didn't die in Stagira, two ancient historians, Plutarch and Pliny, refer to his ashes being interred there in an above-ground tomb topped by a ceramic dome. For more than a quarter-century, Sismanidis has been looking for the evidence. He found it not in a single, 'aha' moment of discovery but in a slow, steady accumulation of clues. Please, check this eBook out below. Marketo writes in the introduction, "Building a subscriber list is fundamental to email marketing, but maintaining your list by keeping subscribers engaged is even more critical to long-term marketing success." They’re the result of the valuable time and money that marketers spend to grab their attention in the first place. And given that it costs more to attract new customers than to keep existing ones, it’s vital to awaken these inactive, or “sleepy,” subscribers. 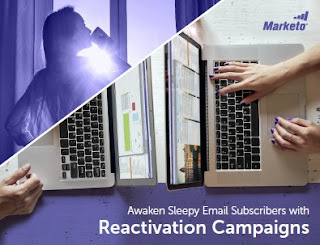 The best way to awaken your sleepy subscribers is to run a reactivation campaign, an email campaign, or multiple campaigns, specifically targeted towards “sleeping subscribers,” to get them to re-engage with your brand. These campaigns can take many forms, from direct requests to deals and offers. The most common reactivation method occurs via email, but with the rise of smartphones, tablets, and smartwatches, marketers need to strongly consider re-engaging subscribers over mobile as well. Coaching and mentoring can reap huge results in all organisations. But how to make it work effectively? 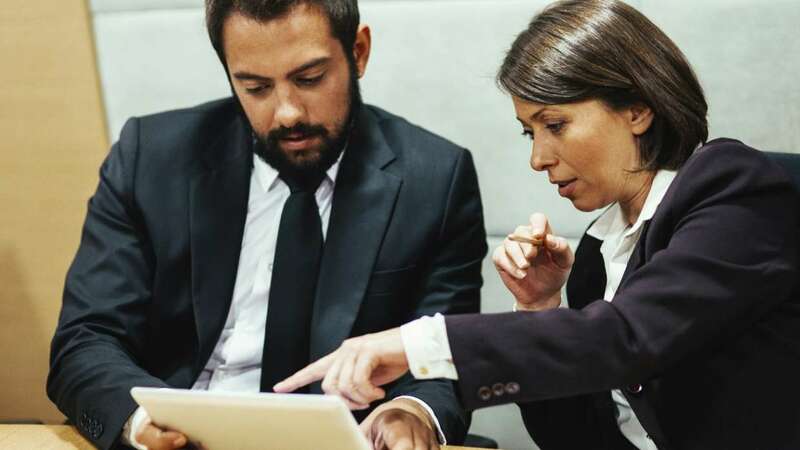 Take two minutes out of your day and read our top 10 tips to help get coaching and mentoring right, covering all aspects including understanding the problem that needs to be solved to ensuring you understand the difference between mentoring and coaching. Read now. Become enlightened. 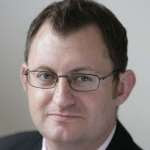 Gary Cattermole, director at leading employee engagement and staff survey provider, The Survey Initiative inform, "Take two minutes out of your day and read our top 10 tips." as below. It has to be entered into willingly by the coachee. If you have an employee who is not behaving as they ought, tackle it as a disciplinary issue, coaching is not the alternative 'avoidance' route. The fit has to be there for the trust to build. It is distinct from both mentoring (skill development) and counselling (emotional support). Both sides may not understand the differences and could be expecting something different from coaching. 4) Mentoring v. coaching – which is best? Mentoring is often used for junior and middle role positions, whilst coaching is beneficial for those in more senior roles. Usually a blend of both methods is used – with a weighting towards one. This does not mean you should not coach junior roles, only it might be less effective as they may have less inner knowledge to exploit – which pure coaching draws upon. The level of confidentiality that will exist needs to be agreed. Breaking this fundamental rule would impact on the employment relationship by causing a breakdown in trust and confidence between both parties. Book of the week: Academics need to hit the brakes and work to change the system they’re in, says Emma Rees, professor of literature and gender studies at the University of Chester, where she is director of the Institute of Gender Studies. George Harrison wrote the Beatles’ Here Comes The Sun holed up at Eric Clapton’s house, skiving a meeting with the executives at Apple Records. Despite its optimism, the song always sounds deeply melancholic to me because I can’t hear it without whooshing back through time to a Sunday evening years ago: I’m in my childhood home, in my flannelette nightie, freshly bathed, homework done and school shoes ready, watching the closing credits – at that time set to Harrison’s song – of the Holiday programme on the BBC. Despite all its wistful jingling and catchiness, that one song signalled the inescapable, stifling fact that the weekend was Over. To become an academic is to submit oneself to that Sunday evening feeling, seemingly in perpetuity. The mental health of academics and administrators is at risk as never before. We might, on any given term-time Sunday evening (or, indeed, on any weekday night), prefer to be a skiver, like Harrison, but we find that the pressures of what my students term “adulting” are simply too great to hide from. The authors of The Slow Professor surely know that Sunday sensation too, and their plea is that, in the interests of self-care, we should all slow down and shift “our thinking from ‘what is wrong with us?’ to ‘what is wrong with the academic system?’”. The Slow Food movement was initiated more than two decades ago by the activist Carlo Petrini. Local producers were celebrated over supermarket conglomerates, the detrimental effects of fast food on local communities were exposed, and a healthy kind of individuality thumbed its mindful nose at cultural homogeneity. Petrini’s work gained traction – sedately, of course – and in 2011 the Nobel laureate Daniel Kahneman published his best-seller, Thinking, Fast and Slow, urging us to live “deliberate, effortful, and orderly” lives. Once it’s understood, the logic of the Slow Movement is irresistible. 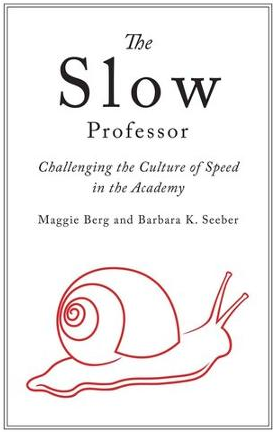 What Maggie Berg and Barbara Seeber are doing in The Slow Professor is protesting against the “corporatization of the contemporary university”, and reminding us of a kind of “good” selfishness; theirs is a self-help book that recognises the fact that an institution can only ever be as healthy as the sum of its parts. Her co-author, Barbara Seeber, professor of English at Brock University, St Catharines, Ontario, was born in Innsbruck in Austria, and lived there until she was 13, when her family moved to the West Coast of Canada. “The slow food movement started in Italy but its principles are also cherished in Austria, so I grew up in a culture that insists on everyday pleasures and the conviviality of sharing a meal and conversation. I think that the immigrant experience has shaped me in some fundamental ways. It undoubtedly has enriched my perspective, but it also has led to feeling that I don’t quite fit in (both in Canada and in Europe). Kathryn Cave from IDG Connect look at how an increasingly digitised workplace is changing the traditional role of engineer. Tunnelled through 260 miles of underground rock and 30 miles of above ground bridges and crossways, in its heyday, the Roman aqueduct system supplied around 1000 cubic metres of fresh, clean water to the ancient city of Rome each day. People talk a lot about Roman engineering but it was this, and other such feats of municipal excellence, upon which an entire civilisation was built. Wikipedia defines an engineer as someone “concerned with applying scientific knowledge, mathematics, and ingenuity to develop solutions for technical, societal and commercial problems”. And fundamentally, until relatively recently, the principles of engineering hadn’t really changed since Roman times. 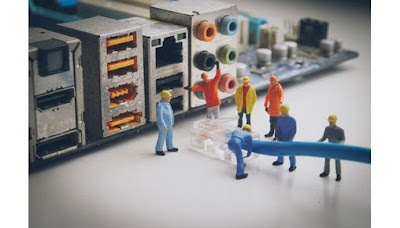 This encompasses the Internet of Things and an ever increasing new network of connected devices, which in turn changes the face of ‘old fashioned’ engineering. This point was driven home to me at a recent Kaspersky event which looked at the rise in cyberattacks to critical infrastructure. 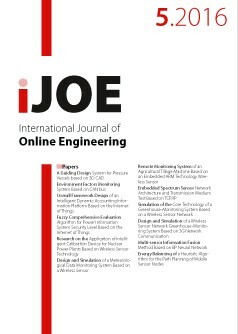 It highlighted how the traditional role of engineer now encompasses so much more than it used to. Robert Faulkner, Manager at the engineering and manufacturing division of Michael Page recruitment tells us: “The role of the engineer has changed dramatically at all levels over the last few years. More than ever businesses are now feeling the pinch in a number of areas and are therefore looking to achieve more with far less. While Ulf Timmermann, CEO of electronics distributor of Reichelt clarifies: “Demand on their skills is no longer just electric - or mechanics-based, but cross-disciplined. Mechanical knowledge and electro-technical knowledge increasingly go hand-in-hand. So what next for engineers? The changes that we’re seeing now are only set to increase with the rise of digitisation and the Internet of Things. Of course, Internet of Things also presents challenges. “Technical data is proliferating and becoming harder to manage, and the demand for cross-disciplinary knowledge is growing,” says Ella Balagula, Senior Vice President and general manager of Elsevier’s engineering and technology markets team. 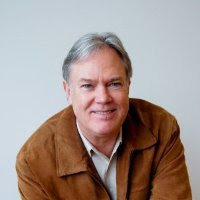 Tim Kimball, CTO of Aire, a credit scoring start-up adds: “No longer is security the remit of the infrastructure and information security teams. Tools like Terraform, Vault, and the discipline of DevOps means that more and more engineers are able to take end-to-end responsibility.